Former fully restored hay barn transformed into 2 holiday homes which share a swimming pool in a rural location in the Pre-Pyrenees. 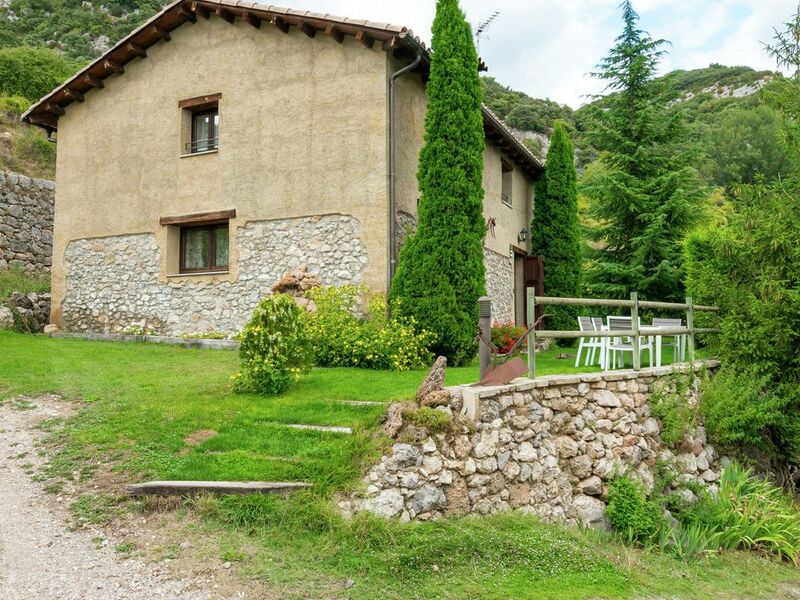 This semi-detached holiday home has an authentic but comfortable interior, with wood floors and ceilings with wooden beams, which provide atmosphere. You can also buy home-made products from the vegetable garden, depending on the season. 100 m. away, there is a 400 year old chapel belonging to the house. From this holiday home you can take walking excursions or visit Las Salinas, where you can see how salt is extracted. Culture lovers will love the various romantic church or the ruins of a castle. In addition, you can also follow the famous contrabandista route, which leads to unique places. 800 m away there are two typical regional restaurants, one with a swimming pool. The closest supermarket is 20 km away. Prachtig huisjes, zeer netjes. Heel mooie tuin met zwembad, mooi uitzicht. Wij hadden de mazzel dat naast ons een Spaans gezin zat met een heel ander ritme waardoor we vrijwel een privézwembad hadden. Heel fijne tuin en zwembad om de hele dag met kleine kinderen te vertoeven. 's Avonds vond ik het geluid van alleen koebellen erg vakantiewaardig. prachtig huisje in een zeer rustige locatie.